the early days until 2008. Vanessa returned from the UK in a wheelchair. She was in excruciating pain due to a condition that the doctors called "Femero Acetabulem Impingement", which basically meant deterioration of both hip joints. In anticipation of what others would say, Vanessa's question to the surgeon was, "So do I have to blame the horses with this too?". The answer was a relief "no, you can blame your parents". Either way, she was going to need two total hip replacements. Whilst waiting for surgery, she had donated her property 'Gold Fields' to the Midland Zone of Pony Club Victoria to host their State Championships and there was work to be done. She set about enlisting the help she needed to design and build a cross country course; clearing the property and setting up areas for camping and hosting an event with hundreds of people all at her own expense. Vanessa was born in Akrotiri, Cyprus because her father was in the British navy. She then moved to the UK when she was 8mths old. 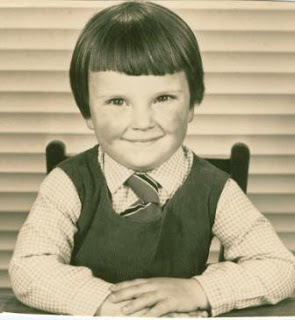 The family immigrated to Australia in 1968, landing in Sydney but moving to Melbourne six months later. 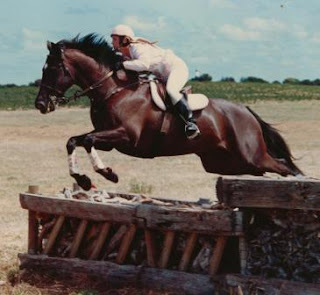 Having been brought up with horses all her life, Vanessa became a member of Eltham Pony Club and competed regularly for many years specialising in eventing, winning the Pony Club State Championships in 1979 for the Mornington Peninsula Pony Club. She went to eight schools (never kicked out of any!) with the majority being at Melbourne Church of England Girls Grammar School from 1970-1974, then St Pauls School, Woodleigh from 1974-76. She then worked up in the high plains of Cobungra, managing a Quarter Horse Stud and working on Mt Hotham ski slopes before going back to the Mornington Peninsula to be one of the first female board surfers ever. 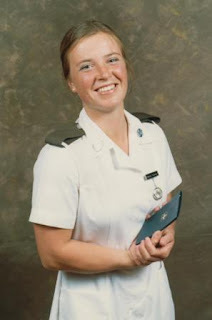 She commenced her nursing training in 1979 at Bethesda Hospital, Richmond, Melbourne but had to finish at Warrnambool Hospital following the closure of the nursing school. 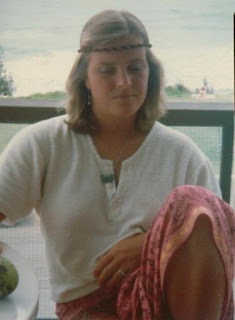 She then worked as a Registered Nurse at Frankston Hospital, mainly in theatre until 1984. She also worked in Camperdown and Terang Hospitals (1985-88); St John of God, Ballarat (1989); Murray Bridge and Tailem Bend Hospitals (1992-93); Mt Alvernia, Bendigo Base, Castlemaine and Rochester Hospitals (1993-96) before retiring for good. Competing overseas as part of a team. 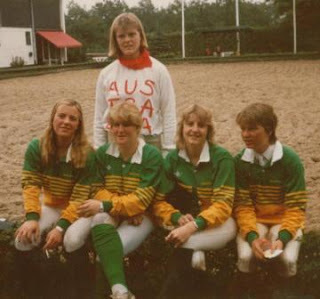 In 1984, Vanessa was asked to ride overseas as part of an unofficial Australian team in Hamburg, Germany in1984. She was awarded Best Australian Rider. After an official tour of several major breeding and training centres in Germany and the Cadre Noir in France, she back packed around Europe, England, Scotland, Scandinavia, Spain and Portugal for six months. Many a story is shared between Vanessa and her co travellers – Sally Francis and Kym Tolliday, but NOT here! A career with horses! You must be mad! Full of inspiration, plans and experience from overseas, she returned home to study horse management at Glenormiston, much to her parent’s horror. The mission was to breed and produced event horses to enable her to compete at international level. The other vision was to create a world class facility to parallel those overseas and for fellow Australians to enjoy. 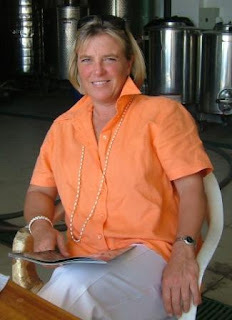 She graduated from the University of Melbourne, VCAH Glenormiston in 1987 after two years full time, completing the Associate Diploma of Horse Management. She also designed, raised the funds and built the cross-country course for the college. It was officially opened by Bill Roycroft (see photo below) and a competition was held with Marcus Oldham college. 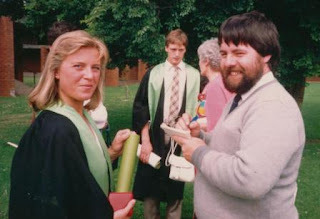 Vanessa was Dux of the year and received two awards (one for best all round student and one for the most contribution to the college) as well as a scholarship to study the Irish Draught horse overseas. 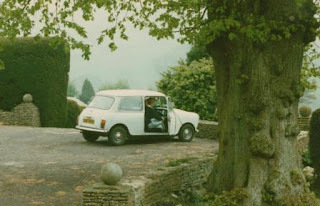 The scholarship took her back to England and Ireland in 1988, where she travelled 10,000 miles in a mini (Daisy), studying Irish horses and uncovering previously destroyed stud books which dated back to 1918. Her research was published in a report and in several magazine articles. 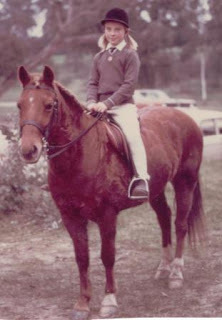 Vanessa then founded the Irish Draught & Sport Horse Society (IDSHS) in 1989 and was President for the first two years. Whilst building her own breeding stock of Irish horses, Vanessa gained valuable experience on various stud farms including Lochinvar Equestrian Centre with Heath Ryan and Craigielea, with Peter Morgan at Kilmore. This position led her into a managerial role at Dorrington Park, a Thoroughbred stud owned by Robert Crabtree, now known as Eliza Park. Marriage! A change from horses! Tragically in 1990, her imported Irish Draught mare, Anna, suffered post partum laminitis after her fifth foal. After battling for four months to save her, the battle was lost and Vanessa decided to marry college sweetheart, Frank. She reduced her horse numbers and moved to Murray Bridge, SA. Her mission was to be a good wife but she ended up becoming the ‘snow pea picker supervisor’ for her husband’s employers. Being blown up by a gold mining company. Following this position, she was asked to establish short courses for people entering the horse industry and developed a passion for teaching and motivating people to follow their dreams. Frank and Vanessa moved back to Victoria in 1993, purchasing a property in Central Victoria. Six months after restoring and setting up their new home, the local gold mining company, Perseverance Exploration discovered gold within 100m of their house. This resulted in a story of its own and is best left for Vanessa to tell you herself but stay tuned for the movie! During this time Vanessa read a report by George Wilson and Alan Pilkington, titled Australian Horses as a Primary Industry (RIRDC). Her interest in the Australian Horse Industry grew as she developed a deep insight into the issues, which confronted the future growth and development of the industry. Further awareness and a desire to contribute to this growth led Vanessa to become a member of the executive of the Australian and Victorian Horse Council (VHC). In 1997 she was Honorary Secretary of the Australian Horse Industry Council (AHIC). Vanessa is convinced that the Australian horse industry has a huge future if only people would work together and in support of each other. She believes that directly or indirectly all of our industry problems can be addressed if we adopt her recipe of five P's - if we raise the Profile of the Horse, we will encourage increased Participation in the industry, which will raise the level of Professionalism; we need to increase our Protection against endemic and exotic disease threats; and if we do all these we will inevitably raise the level of Prosperity for EVERYONE !!! “Despite the hardship and crippling effects of the recent EI situation, it is a huge wakeup call for industry. Perhaps now they might realise the benefits of working together!” The positive outcome of the EI situation is the increased awareness of the Government and the media about the size, scope and contribution of the Australian Horse industry to our economy and employment numbers. To address some of the issues confronting the industry, Vanessa commenced work on a much needed industry database, which she and her business partner, Claire Scott funded all by themselves. This work was published with a few local directories as well as the 1997 "The A-Z Horse Industry Directory". This publication was well received with nearly 3,000 copies sold and was used as a reference by the Equine Studies students for many years. 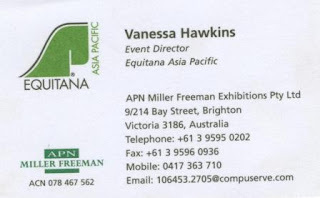 The publication was about to go national when she was offered the position of Event Director for EQUITANA Asia Pacific. This was an amazing opportunity to further her work in promoting the horse industry, so she wound down her other activities to concentrate on the event. Equitana is an exciting event which has been run in Essen, Germany since 1968 and now attracts well over 300,000 people. However, it was relatively unknown to the Australian industry back then and required a lot of ground work and positive talking to bring it together. The normal structure of this amazing event consists of three main elements - Exhibition, Education and Entertainment held over four days in one venue. However, EQUITANA Asia Pacific attracted considerable support from the Victorian Government who requested a fourth element of international competition. This was achieved with the 1999 event held over ten days using Werribee Park Equestrian Centre and the Melbourne Convention Centre. The event showcased the Australian horse industry in its entirety for the very first time, attracting over 70,000 people and receiving many awards due to its success. Due to her partners illness with bipolar, Vanessa started managing the 300 acre property and ESB operation on her own. She built a stadium which seated up to 10,000 people out of waste material from a nearby gold mine and had several ideas for hosting major events, outdoor concerts and festivals in the future. The property, ‘Gold Fields’ hosted the Pony Club State Championships in May, 2009, the Riding for Disabled (RDA) State Championships in 2010, the Beach Party in the Bush in 2012 and 2013. After 15 years of sweat, blood and tears, things were starting to take shape when another major insult occurred, the worst environmental disaster in the history of the Fosterville Gold Mine. You can see some images here. This resulted in the decision to relocate to Euroa, taking everything with her to start all over again. With the breakdown of her long term relationship, Vanessa returned to the workforce in 2003 to support the ESB program and the property. She was recruited by Bartercard (the world’s largest trade exchange) and now consults to the company worldwide. Her work with Bartercard has not only enabled her to continue with ESB and the property but it has also taken her back overseas to work. In 2004, the international conference in Spain followed by a Bartercard Bootcamp in the UK. After this Vanessa met up with her great pal Christine Stacey, whom she went through Glenormiston College with and is now resident in the UK. They travelled to Ireland to see Punchestown Horse Trials before returning to the UK to visit facilities and riders, including a G&T with Douglas Bunn who owns the Hickstead Stadium. Vanessa then continued on the Essen, Germany to catch up with her Equitana friends. Whilst there she spent a day with Paul Schoeckemohle, probably the biggest producer of Dressage and Showjumping horses in the world. She also visited Frank Kemperman, Director of Aachen and saw the developing site for the 2006 World Championships. On a round-the-world ticket, Vanessa flew on to Calgary, Canada and spent several days at the Spruce Meadows facility. She shared many hours with the owner, Mrs Southerns. 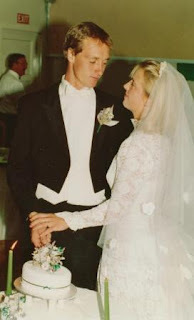 After popping into see the site where they hold the Calgary Stampede, she flew on to Denver and spent a few days with Pat and Linda Parelli before flying home. 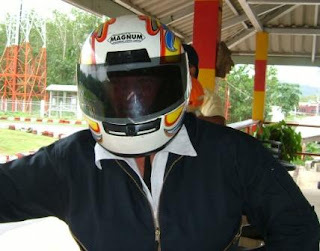 The next trip was following the 2005 Bartercard International conference in Phuket, Thailand. She went on to work in Cyprus for three weeks and managed to visit the hospital and naval base where she was born and the house where they lived for eight months. Twinwood arena before flying out to Virginia, USA. Here she was based with Wash Bishop (past Olympic selector for the US) for two weeks and visited Phillip Dutton, Mara Dean, Jim Wofford and Karen O’Connor. In July 2007, Vanessa was asked to work in the UK for Bartercard for seven weeks. During this time she managed to visit Gatcombe, Burghley and Blenheim Horse Trials as well as catching up with other eventing people and competitions. This experience has helped to consolidate the Team ESB concept even further and there are exciting opportunities for ESB and the ESB riders in the future. Returning home in September to commence the breeding season, Vanessa is even more determined to get her ESB horses onto the world eventing stage and hopefully an Olympic team in the future. February 7 2008, Horse & Hound published a four page feature on Team ESB. As a consequence, Vanessa flew to the UK with four of her horses on May 23, 2008. She has remained there until the horses were placed. During this stay she was offered the position as National Sales Manager for Bartercard UK and worked in that role for over a year, recruiting and rebuilding a sales team. The recent drought conditions and economic pressures are a huge challenge and Vanessa says she has learned to use her imagination and creative powers to survive. She is passionate about sharing her experiences and helping others develop their horse knowledge as well as themselves, so she is now setting up accommodation facilities for around twenty people and their horses to conduct workshops and clinics throughout the year in Australia. Throughout all of her trials and tribulations, Vanessa is enormously grateful to her family and friends for their continued support and unquestioning love, despite them not always understanding her, her mission or her strategies.